The coffee sector praises sustainability and yet the chances are the coffee you’re drinking came from farmers living below the poverty line with little security in the future of the farms. True Price undertook the first study of its kind with Fairtrade International; a detailed analysis of coffee farmer income across seven coffee producing countries: Rwanda, Tanzania, Uganda, Kenya, India, Indonesia and Vietnam. True Price examined how much farmers earn from coffee and what positive or negative impact the amount has on the overall household income. This infographic demonstrates the disparity of total household income per country. In all cases, coffee farming is not the sole income of a household, often it is necessary to make income from different agri-production or non-farming income. Interestingly, the dependence of coffee farming as income varied greatly between different producing countries. 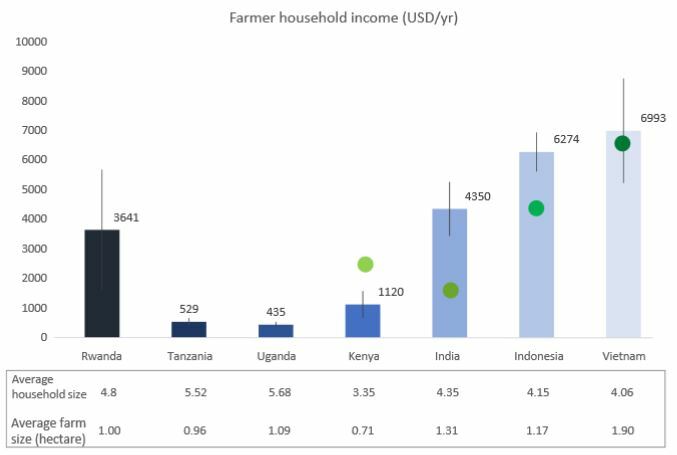 Farmers in Indonesia rely heavily on their income from coffee whilst Kenyan farmers earned the majority of their household income from other good or non-farm income. Indonesian farmers also make the highest profit per/kilo due to high yields, whilst Kenyan coffee farmers make a large loss of profit and so must absorb this my earning money by other means. 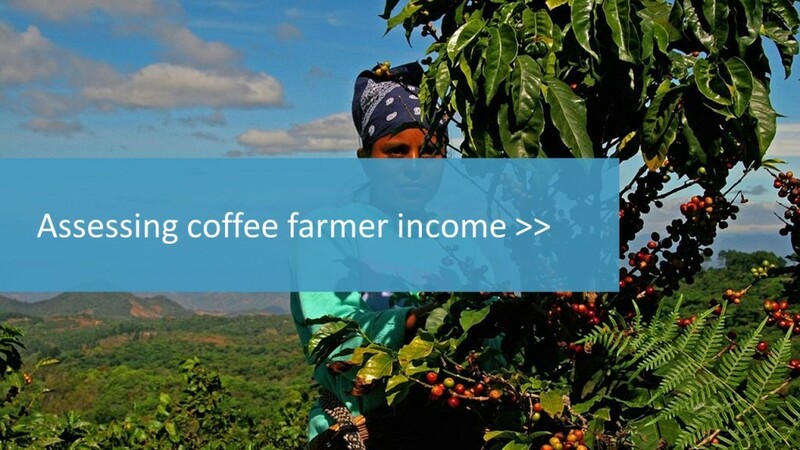 Looking at income in this way is a critical step to work towards a fair, sustainable Living Wage for Coffee farmers. 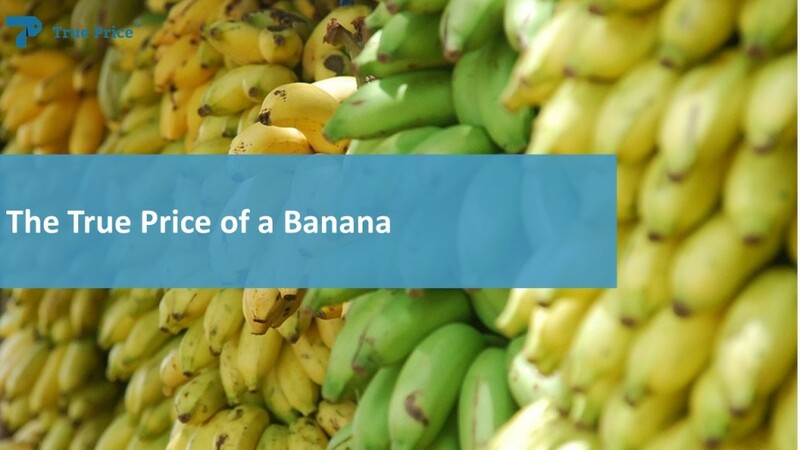 In a recent assessment, True Price calculated the true price of bananas and exposed the external costs in their production. As the most traded fruit on the planet and with a low price tag for consumers, we seem to be well and truly seduced. What we do not see is the True Price; a price that includes environmental costs like damage from agrochemical farming or rainforest depletion and the social costs of low wages and poverty. As seen here, True Price finds that Fair Trade banana production has lower environmental and social costs then the conventional. By supporting Fair Trade as a more sustainable model, we can contribute to reaching the planet’s 2030 SDG. May the best farmer win! How does the true price of organic agriculture differ from conventional agriculture? Adrian de Groot Ruiz gave an interview about organic versus conventional agriculture on Business News Radio (in Dutch). You can listen to the whole interview, in response to a statement of Louise Fresco, the President of Wageningen University and Research. (His part starts at 22 minutes) here. Journalist Frederique Mol is the interviewer. The real costs are not included in the price consumers pay. Who pays for these? Society pays. For example, when CO2 emissions go up, there will be more floods. We will need to build more dams and the productivity of agriculture will go down. These are costs which are real, but the person enjoying the piece of chocolate does not pay for it. Which information do you need to judge the statement? Environment is the most interesting, because the advantage is that organic agriculture is better per hectare. There is less use of pesticides and herbicides, there is less loss of soil quality and less CO2 emissions per hectare. The disadvantage is there is less produce per hectare. How do you calculate the real price? Multiply the costs per hectare with efficiency. With the use of pesticides and herbicides, you determine the loss of species and value the different species. With CO2 you take the societal costs. We calculate 110 euros for a ton of CO2. 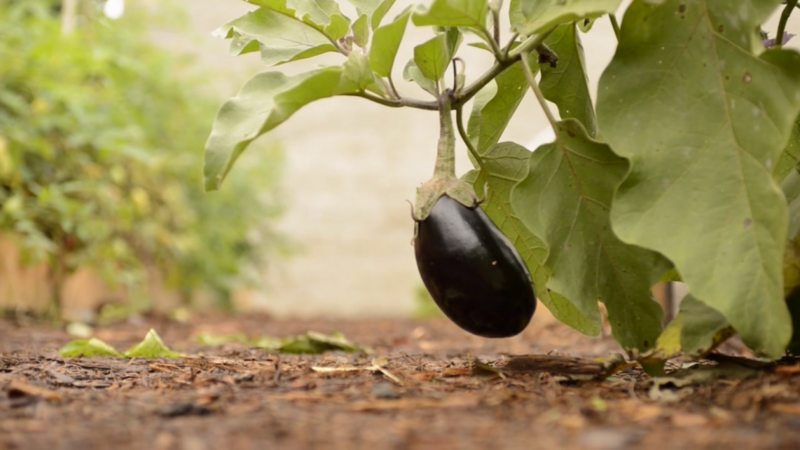 Does organic agriculture perform better than conventional agriculture? The most leading studies show that the yield is about 20 percent lower. That sounds like bad news for organic agriculture. Can we put a price on it? No, and that is the interesting part. This is what we should measure, but it differs per continent and per product. To be fair, we don’t know. So it’s important that everyone measures and reports their true price. For example, an organic trader, Eosta, reports their costs per hectare, but we would like to see the costs per product and then: may the best farmer win! Article 1 of the (2011) OECD Guidelines for Multinational Companies states: “The Guidelines aim to ensure that the operations of these enterprises are in harmony with government policies, to strengthen the basis for mutual confidence between enterprises and the societies in which they operate, to help improve the foreign investment climate and to enhance the contribution to sustainable development made by multinational enterprises”. The Guidelines are focusing on responsible business conduct by Multi-National Enterprises (MNE’s) in their entire value chain. The Guidelines are an example of “soft law” by the (46) governments as they are voluntary, yet not non-committal: governments may attach certain sanctions to non-compliance and, moreover, there is “no law-free zone” as the Guidelines reflect good business practice. The Guidelines are comprehensive, as they include human rights, employment & industrial relations, environment, disclosure, corruption/bribery, consumer interest, taxation, science & technology, competition. Central themes are: initial and ongoing due diligence on own risks and on actual or possible adverse impacts on stakeholders and society-at-large; scoping the nature of responsibility of the MNE’s in their entire value chain (“cause, contribute or directly linked” to impacts); leverage (alone or with others) to prevent, reduce, mitigate adverse impacts. The Guidelines offer the opportunity for affected people to seek remedy through the mediation process by the National Contact Point (NCP in each of the OECD (34) member and (12) adhering countries. This process also offers the opportunity for forward looking learning: “from accidental pain in the valuechain to systemic gain”, by improving practices and policies. The Guidelines have been drafted and the performance thereon are being monitored on a multi-stakeholder basis, i.e. governments, business (BIAC), trade unions (TUAC), NGO’s (OECD Watch). The Dutch Sector Covenant Process, initiated by the government for a number of high impact business sectors, lead by business, with active involvement of civil society organisations is based on the Guidelines (as well as on the UN Guiding Principles for Business & Human Rights). The Sustainable Developments Goals (SDGs) were adopted by the UN General Assembly in 2015. With its 17 Goals it offers a wide-ranging aspiration (and commitment by governments) to create a more sustainable, inclusive and fair world by 2030. Its scope is global (adopted by 198 countries), universal (setting national and international targets), with a range of (169) targets and (230) indicators for governments to act upon, and to report periodically in the UN fora. The issues addressed in the Goals include: poverty, food security/nutrition, health, education, gender, water/sanitation, sustainable energy, economic growth & employment, inequality, cities, sustainable consumption and production, climate change, natural stewardship, institution building and, importantly, (multi-stakeholder) partnerships. Although this is an agenda set by governments, it is recognised that the private sector must play a key role in the implementation of the SDGs. Some leading businesses have already committed to embrace the SDGs in their corporate strategies (and performance reporting), focusing in particular on a few Goals of their own, yet considering the other Goals as well. In the Netherlands already a number of (multi-stakeholder) private sector initiatives and solution partnerships have been taken, for instance the SDG Charter Coalition. With the OECD Guidelines as normative baseline for business and the SDGs as aspiration (“for all, by all”), we now have a catalytic Agenda to address “the tragedy of the commons” by implementing together, through partnerships by public and private sectors, “the strategy for the commons”. 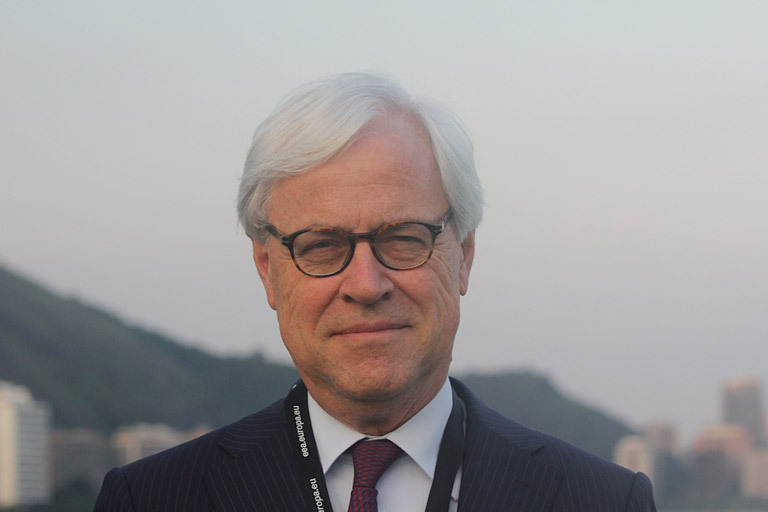 The combined, complementary frameworks will assist us in developing coherent and consistent supportive legislation and government policies; for business to sharpen their “purpose” in society, their governance and to “sustainabilise” and stabilise their value chains; for innovation in technology(-sharing) and business models by all, using i.a. better data and metrics; for civil society organisations to be more constructively engaged in government and business interventions. Goal #17 is particularly important: “getting farther by going together”, with shared outcomes on all other 16 Goals. Matching the broad societal agenda with business objectives to realise shared outcomes will be our key challenge. Government has a key facilitating role to play in realising our 2015-2030 Agenda towards a better world. It should amend its more reactive “additionality-“ approach (acting when markets are failing) to a more pro-active catalysing “complementary” role, at least during the next 5-7 years, to create a pro-SDG environment for itself, business and civil society. 5.	develop, in cooperation with business, new coherent and consistent enabling policies and instruments to “crowd in” business into the SDG Agenda, provided business adheres to the Guidelines’ framework. Business should recognise that it should redefine its role in society through redefining its purpose: create value for customers, wealth for investors, long term value for its stakeholders, while adopting ethical standards, doing no harm to social wellbeing, natural ecosystems and biodiversity, climate. Its governance structure and public accountability processes should reflect this approach. “Nothing is impossible, particularly when it is inevitable”: reading the signs on the wall and take early action is part of effective leadership. It should also consider that preventing potential costs of conflict with stakeholders, the arising of new societal liabilities, “stranding” of assets, the loss of reputation/brand/value are important business case factors. 4.	stimulate consumers to buy “sustainably and responsibly”. 5.	actively participate in national and international sector-/theme- “tables”. NGO’s and trade unions should recognise that, notwithstanding serious negative impacts for which case-specific “naming & shaming” is justified, the concept of “knowing & showing and, even, joining” the broader Agenda (as described herein) in a diverse and dynamic world in which no one is perfect, deserves a fair chance and a constructive approach. Civil society organisations play an even more important role in keeping the normative baseline during the implementation of the SDG “promise” with speed and scale. Next to adopting the roles of business mentioned above the financial sector should play, in serving society, a particularly important role as “gate-keeper” of high standards, and as ambitious and responsible “enabler” by its capital-mobilisation role. 3.	consider impact investing “the new normal”, rather than a new asset class. 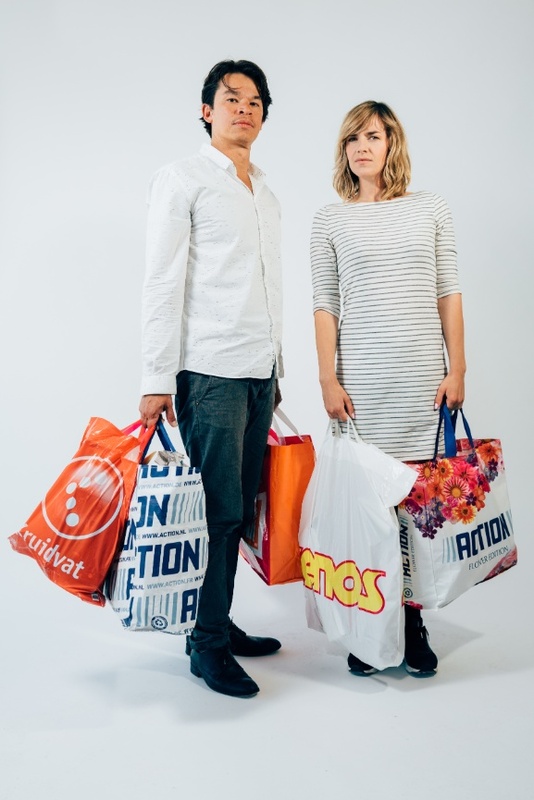 Where is the Consumer: “the hidden change-maker”? The Consumer is the big absentee in the Agenda. Through his conscious choices he may make major contributions. He needs to be more aware of the intrinsic value of products (or, rather, the lack thereof). Our mission is now well defined: we have “do no harm”-framework (through the 2011 OECD MNE Guidelines) and a “doing good”-agenda (through the 2015-2030 SDGs). Collective action with ambition is now of the essence. We have no excuse anymore not to adopt, embrace and act upon this.